Michael kept me laughing from start to Finnish. I especially enjoy the jokes about shopping in Publix, which I found very true to my own experience when I shop in Publix for the first time. I also enjoyed listening to his son, Andrew was his name?, who not only looked a lot like his dad, but his routine was also very good, including the joke about being asked to "pee in the cup"? If I remember the joke then you know I enjoyed it. Great show, had us laughing all night, even the following day. Great Job, Mike! Michael Parenti has an incredible show. He was on spot with each and every person at the holiday party. He made our night special. It was a breath of fresh air to have someone make us laugh throughout the night. I would definitely do this again. Our group had a lot of fun with Mike. His show was fast paced, energetic and engaging. We loved his stories and the humor he conveys in the things we all experience. It was a great evening. Believe it or not having his son open for him was great. His son has a lot of potential. Michael's ability to segue-way from topic to topic was very impressive. His delivery and style were smooth and old school Catskills which I really liked. I enjoyed his hour or so of comedy. The speedo segment needs to be tightened up a bit. Wasn't sure where it was going...… All in all a fun night. Barrage Of Wit Bit By Comedy Bit! It has been said by legendary funny men like Carl Reiner,Mel Brooks and Johnny Carson, that the difference between a ''Comic'' and a ''Comedian'' is that a Comic says ''funny things'' and ''tells jokes''..but a Comedian ''says'' and ''expresses'' things him or herself in a ''Funny manner''...that is something that comes from *within who they are ''naturally''. 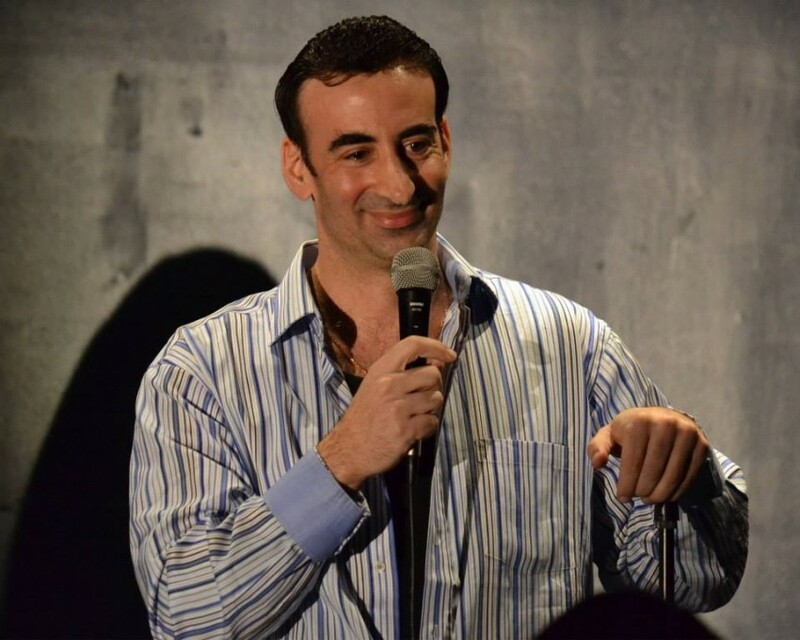 Mike Parentis' ''approach'' to his comedy is what makes the difference;At first,he comes off like somebody you've known at work or in familiar settings..he's the ''neighbor 2 doors down'',the guy in the office,on the floor you work on. Then,on a roll,he takes everyday situations -the guy at work-the guy sounding off about his wife and kids-what he's been experiencing on the highway and the airport- and with *superb *timing and *polished *original ideas,he just *takes *over the atmosphere with barrages of wit.His embellishing ''facial expressions'' alone can make you laugh.As I was listening & watching him I thought if ''Ed'' was there,he'd insist on having him on his Sunday Night show! Yes,if you can remember when comedians used wit,imagination and talent so unique,you couldnt wait to see them again and again-doing a brand of Comedy that made folks laugh-without using profanity,perverse,cutting,critical,disrespectful and insulting idioms...then this professional Mike Parenti will be on your ''We Gotta See Him Every Time He's in Town'' list. I truly believe he is as good as any talent one can turn the dial to watch-Catch him folks,this 1st Class entertainer-when and where ever you can..
All the best to Mike Parenti! A Great Night of Fun and Laughter!!! We saw Mike Parenti's show last weekend. Mike has a unique way of finding the humorous side of everyday life... Marriage, Children, Grocery shopping, Etc. A Great night of Fun and Laughter!!! Michael Parenti is truly a funny man. His timing is on point and his jokes are very funny. There are not a lot of comedians that are truly funny these days and many use vulgar language to be funny, but Mike has natural comedy. My husband and I highly recommend Mike. Mike and his Son Andrew were great! They were very friendly and made us laugh, will definitely be hiring them again. Great job guys! I am an activity director at a senior living community. We wanted to hire Michael for our comedy night, and I couldn't be more please with my overall working with him. He is great to talk with and plan with, and his comedy is really funny. We had a group of about 75 at the show, and the residents truly enjoyed it. One resident who has had many difficulties in life recently, said she hasn't laughed so much or had such a good time in years. Overall, it was a pleasure and joy working with Michael, and we hope to work with him again in the future. Excellent presentation! Michael kept his audience alert and laughing at all times. It was a very good interactive presentation without offending the audience. i highly recomend Michael for future events. We hired Michael for our Jazz & Jokes social held on April 11, 2018. He was a great hit with our Senior Center Crowd. It was a sold out social of 120 people and Michael knew exactly how to adapt with what the audience liked and the type of jokes that made them laugh out loud. He worked his way around the room and took the time to make sure he was familiar with the space by showing up early. He was very good at communication before and after his performance and was very professional. I would definitely consider him for future event as well for any events of all ages. Thanks again Michael!! Mike did a great job of keeping the crowd laughing!...His comedy was clean yet so funny!. Would definitely ask him back again. My friends are still talking about him. We all loved that He had his Son open up for him, he was funny as well. Great job Mike! From the first contact to our goodbye, Mike was a pleasure to deal with. Prompt, responsive, courteous, and thoroughly understanding of our wants and needs, and oh, simply hilarious during his set! Mike's son was a great touch as a warmup act, and then when the main event started, it was clean, relevant, and professional. Mike did not lose the crowd, and went longer than we thought. Definitely would rebook in the future! Michael provided us with a most enjoyable hour of comedy and story. 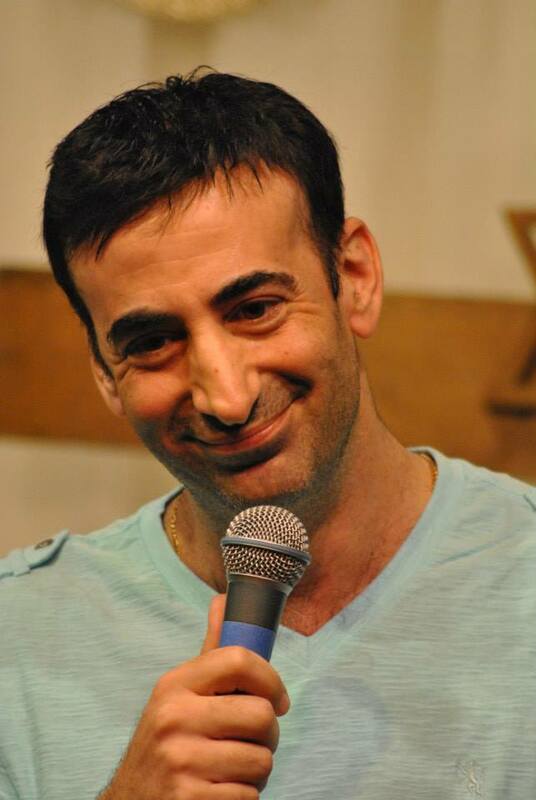 His comedy is rooted in daily life experience that makes it easy for everyone to identify. His humor is also very 'clean' which we appreciated. Michael was very accommodating of our circumstances as well. We appreciated his flexibility as well as his humor. I have had the honor and pleasure of being an audience member of, student of, and opening act for Michael Parenti. Mike's humor engages the whole family from the youngest member to the eldest. He is a patient, kind teacher. He will help alleviate your fears and having you sounding like a pro in weeks. Mike Parenti was at the Bamboo Room in Lake Worth, Florida June 17. He had the crowd engaged and laughing from the start. I appreciate the fact that he keeps his comedy 'clean'. I think that makes him even more talented than others that have to resort to raunchy humor. If you are looking for a terrific comedian for your even, Mike is the man! Looking for and finding a comedian is a daunting task. After all, everyone has a different opinion about what's "funny." After searching online and listening to various comedians for my mother's surprise birthday party, I contacted Michael Parenti. He returned my email right away and from then on, kept his word whenever he said he'd text or call. It means a lot to know the person you've hired for an important celebration is going to show up on time and do a great job. I watched Michael's video before hiring him and I thought he was very funny. When he showed up to our house, he did as he said he would, texting before coming inside to be sure he didn't spoil the surprise. He then came inside and was professionally at ease with everyone. He created a rapport before he was to begin his show and added a completely new dimension to what could have been a fun but routine party. As an added element, Michael brought his son, who performed an intro comedy routine before his father began. His son was adorable, funny and very, very sweet. They were both a complete delight and I'm so glad I obviously made the right choice in hiring Michael. I would definitely hire him again. As the president of our community Men's Club, hiring an entertainer sight unseen can often be a dicey event. In the case of hiring Michael Parenti, this would not be a daunting decision. He came through for our club better than could have been imagined! His personality and brand of clean humor was perfect for our over 55 audience and the laughs did not stop. If your group is searching for a comedy act that will keep the laughs coming for a substantial amount of time, hiring Michael Parenti will be a wise move. Apostolic Church in Douglaston, New York. We booked Michael Parenti on February 11, 2017 for our "Laugh & Dance"
the crowd engaged with laughter throughout the night. He was also a guest on our program and here's a link to that podcast. I was very happy with Michael Parenti. He had everyone laughing consistently. He arrived early to get a feel of the crowd and worked the room. I would recommend Michael in a heart beat. Great night great laughs great guy! Two Hundred Women Loved You! On behalf of the Savanna Club Women's Club, I want to thank you for an amazingly entertaining afternoon. All two hundred women's eyes were on you... how did it feel? haha! You were an absolute hit. The women really loved your performance, you really had them rolling in their seats! Just hilarious stuff! Your mother was absolutely charming, I am so happy she was able to join us as well. I can't thank you enough for making our Savanna Club Women's Club April Fool's Luncheon such a resounding success. It was the first time ever that we have had a stand-up comic perform, and I hope you will be able to come back and entertain one of our other many groups in the Savanna Club community. You will be highly recommended! Wendy M.
Mike and his son Andrew stole the show on last night at our Family Conference!! Mike was on point from start to finish of the booking, he stayed in constant communication with me, arrived before time, was very professional and kept our entire audience in stitches!!! We would definitely bring him back for future events!!! Thank you Mike and the Parenti family!!!! Mike Parenti did his research and was prepared with material that was appropriate for the occasion. Program ran a bit long but a good time was had by all! Mike Parenti is pure comedy! Every time I see him perform I laugh as hard as I did the first time! Mike's ability to relate to his audience makes him incredibly likable as soon as he picks up the mic. His material is original, clean, and surprises us all with the twists and turns in his jokes. His observational style on current social issues are hilarious. His following in NY will surely miss him! "A Heavenly Favorite" 5 Halos! 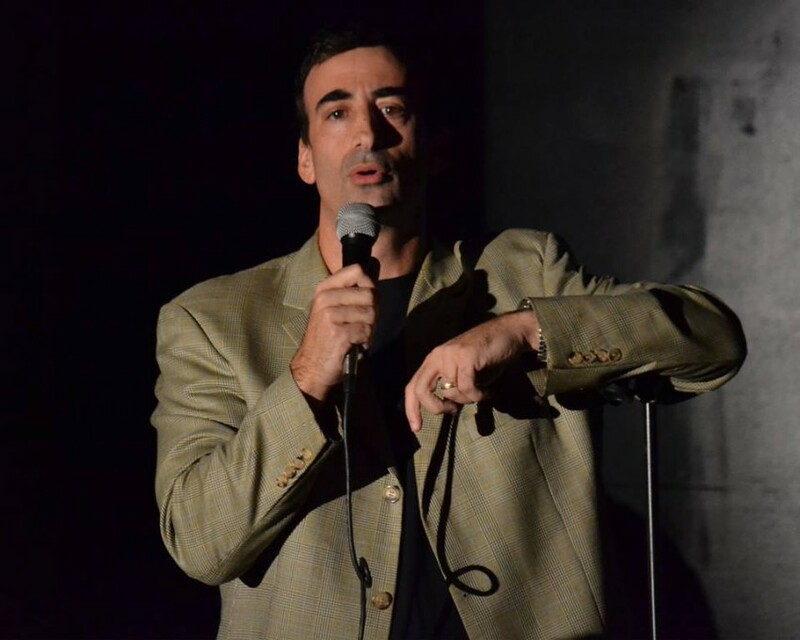 Thinking of bringing Christian comedian Mike Parenti to your next church event? No fear! Considering having him appear at your ministries fundraiser? No fear! Pondering having him teach a comedy class? No fear! Mike Parenti has worn all those "hat's" here at "Li'l Bit Of Heaven" Ministries for years to a crowd where he makes everyone feel like family! Witty, creative, hilarious, humble, respectful and engaging, are just some of the words I would use to describe him. A "Heaven" favorite , his warm and welcoming ways are always enveloped with new & fresh material combined with a true level of excellence. Whether he was hosting our Christian open mic night or teaching his "Squeaky Clean" comedy workshop ,or performing his own one man comedy show ,our guests NEVER tired of him!! Mike uses this awesome gift of comedy God has given him as his way to honor the "Gift Giver!"". 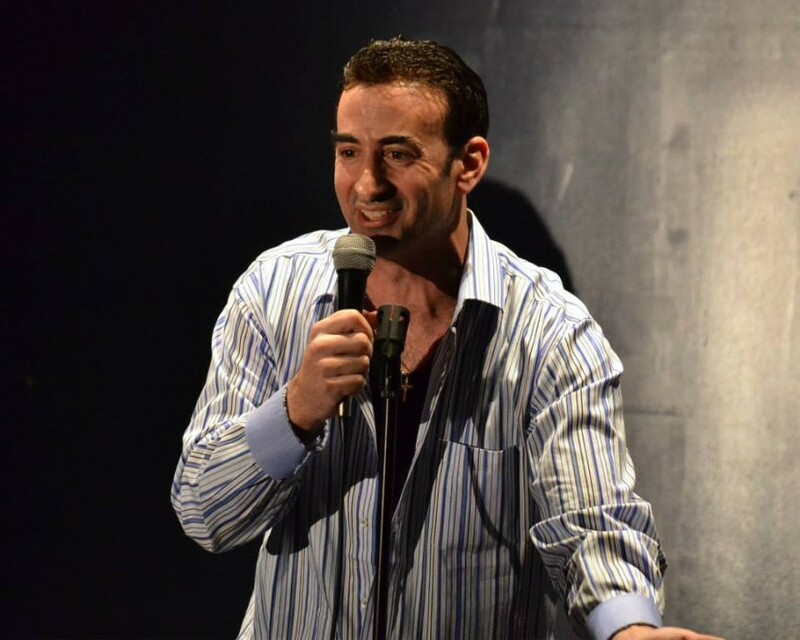 Deciding to book Mike Parenti? No Fear! "Comedy For Christ" is the way to go!